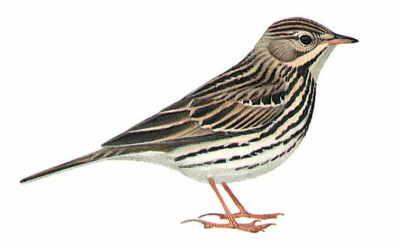 Similar to Tree Pipit in general appearance but has finer, less stocky build and slightly longer tail. See Tree for further differences. Flies with short, irregular undulations. Flicks tail nervously on ground.